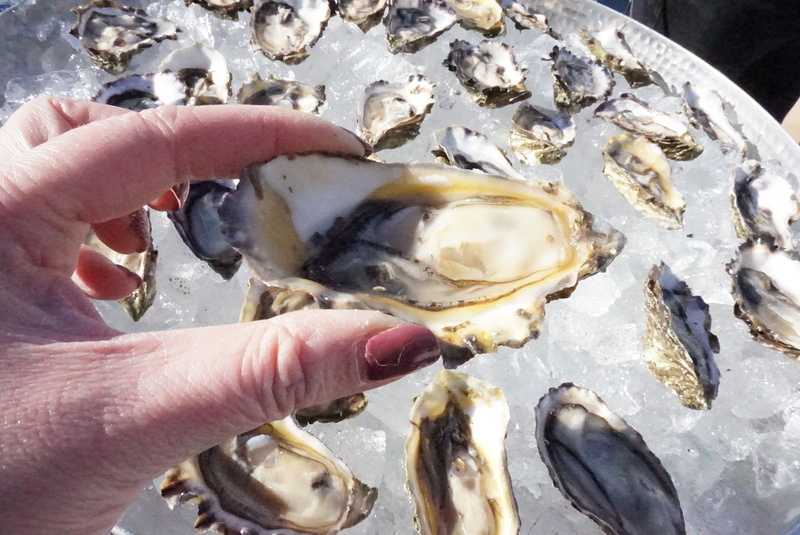 Comox Valley once again is the host to the annual BC Seafood Festival June 7-16, 2019. In its 13th year, the BC Seafood Festival is Western Canada’s largest seafood festival. This delicious seafood event welcomes some of the best chefs in BC, showcasing and educating participants on buying and consuming BC’s sustainable seafood. I had the opportunity to meet some of the participating chefs at last week’s BC Seafood Festival VIP & Media Launch party, hosted by Pacific Yacht Charters in Coal Harbour on a beautiful spring Vancouver afternoon. Chef producer, Nathan Fong, from Fong on Food, was on hand to chat and welcome all media and VIP guests. 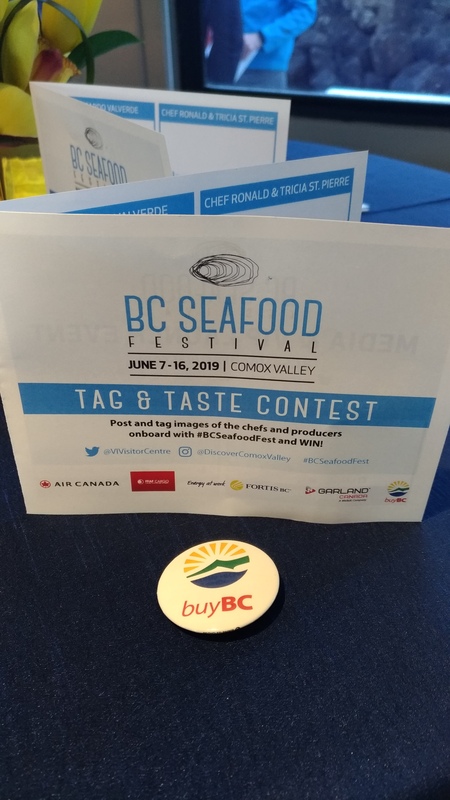 With half a dozen chef stations and wine and liquor available from Comox Valley and Vancouver chefs, I was able to sample some of the offers that will be available at the BC Seafood Festival this year. Upon arrival I found my way to 40 Knots Vineyard’s table. 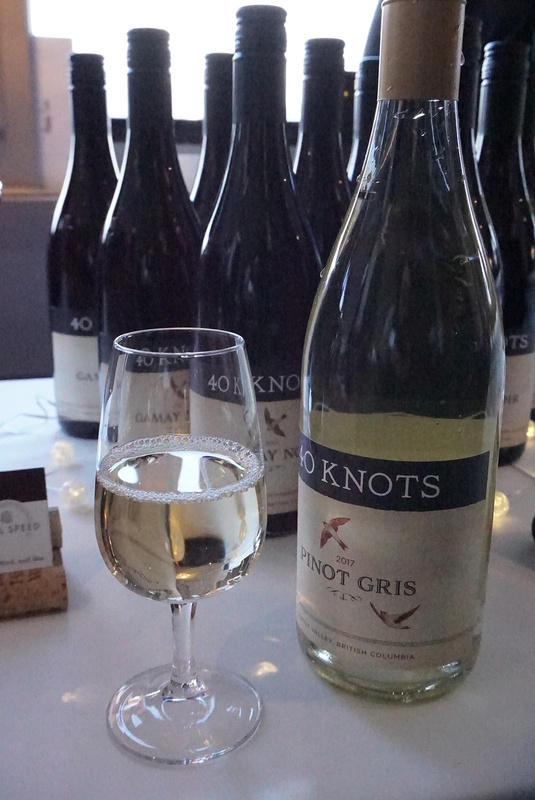 Located in the Comox Valley and serving up a variety of whites and reds, I selected their award-winning Pinot Gris – light, crisp, and fruity. I really enjoyed pairing their Pinot Gris with the featured seafood stations. Chef Ricardo Valverde from Ancora Waterfront Restaurant served up Ceviche Shots – light and refreshing with a lot of seafood in one cup – fresh shrimp, squid, scallops, and more! 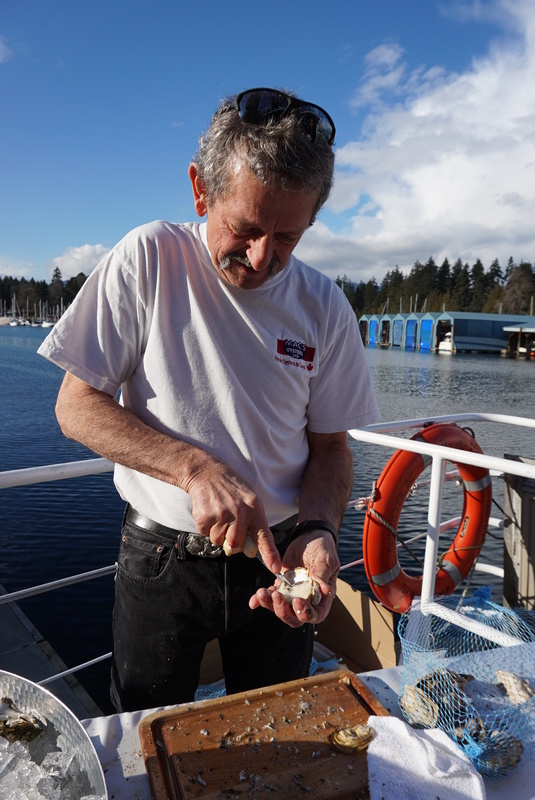 Fresh oysters were being shucked by Gordy McLellan from Mac’s Oysters – these Fanny Bay oysters were fresh, juicy, and paired well with a shot of gin on the shell after! 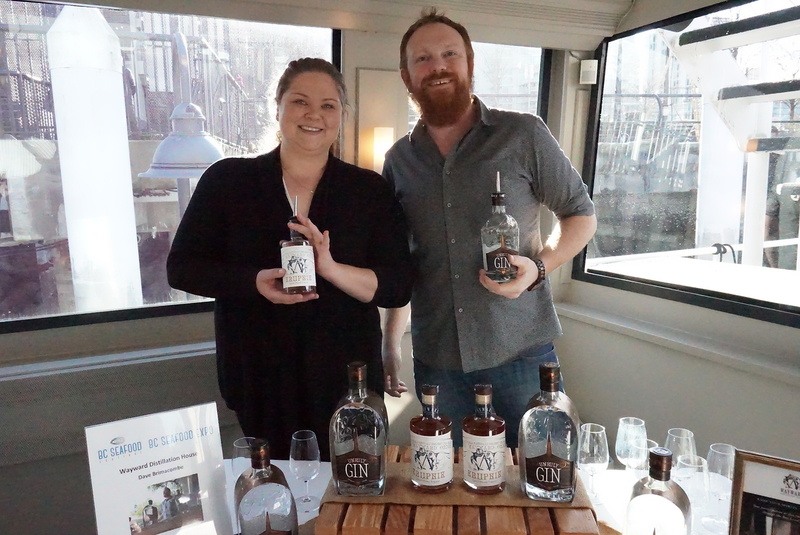 The gin Gordy served was from Wayward Distillation House, who had its own station sampling gin and their spiced honey liquer, Kriipnik. Honey is the base for their liquer and are sourced from Northern BC. I loved the taste of their spiced honey liquer for sipping, similar to port. 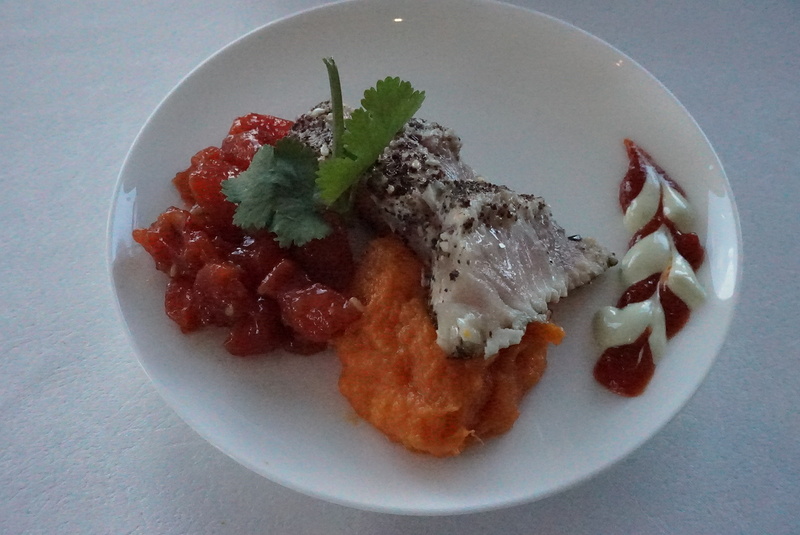 From Blackfin Pub, Chef Nigel McMeans’ crusted pan-seared albacore tuna and salmon poke tasting plate hit all the right flavours – it was savoury (salt & pepper), spicy (sirarcha mayo), and sour (citrus lime). It was beautifully plated and freshly made for each visitor to their station. 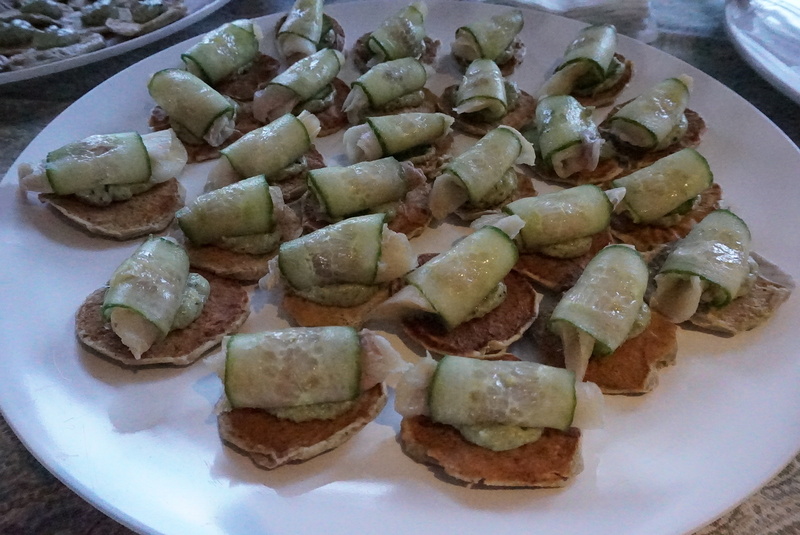 Chef Ronald St. Pierre from Locals Restaurant served up cucumber wrapped smoked sablefish with kelp and caviar cream served on a wheat blini – a mouth watering appetizer which welcomed guests when they first arrived onboard. One of my favourites of the party was from one of the winners of this year’s Chowder Chowdown 2019 competition, Chef Chris Andraza of Fanny Bay Oyster Bar & Restaurant. 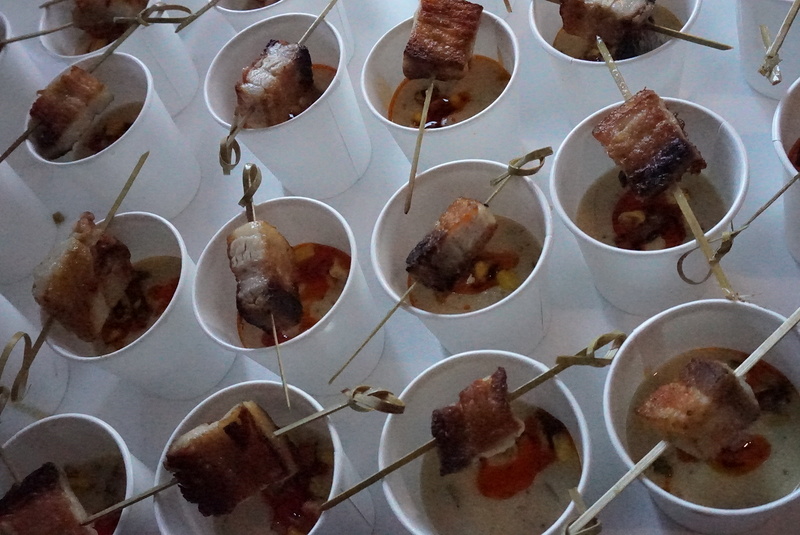 His Fanny Bay Manila Clam & Corn Chowder served with corn salsa, paprika oil, and seared pork belly was a hit! With just a kick of spicy from the paprika oil, and the crunch and flavor of seared pork belly, I can understand why this was one of the winners of the Chowdown. Give me more seared pork belly with my chowder please. Shucked! – it’s the largest oyster bar happy hour in Canada where you can savour some of the freshest BC oysters on the market. Shucker Paddy will also be on hand to show off his skills on why he’s the Guinness Book of World Records holder for shucking oysters! Join in the launch of BC Seafood Festival at Shucked! on June 14, 2019. Baked n’ Boiled Kitchen Party – what’s a seafood festival without a seafood boil?! Where East Coast meets West Coast seafood in this one night event on June 15, 2019 – one night of seafood, spirit tastings, and musical entertainment. Bounty! A Brunch Seafood Cookout – This is not your average brunch! On June 16, Diners will be cooking their own meal while being guided by expert chefs during this hands-on VIP cooking event. Cocktails designed by expert mixologists to pair with your own brunch creations. A unique, one of a kind experience for those wanting to learn some skills from BC’s chefs. Ceviche! Ceviche! Ceviche Masterclass! 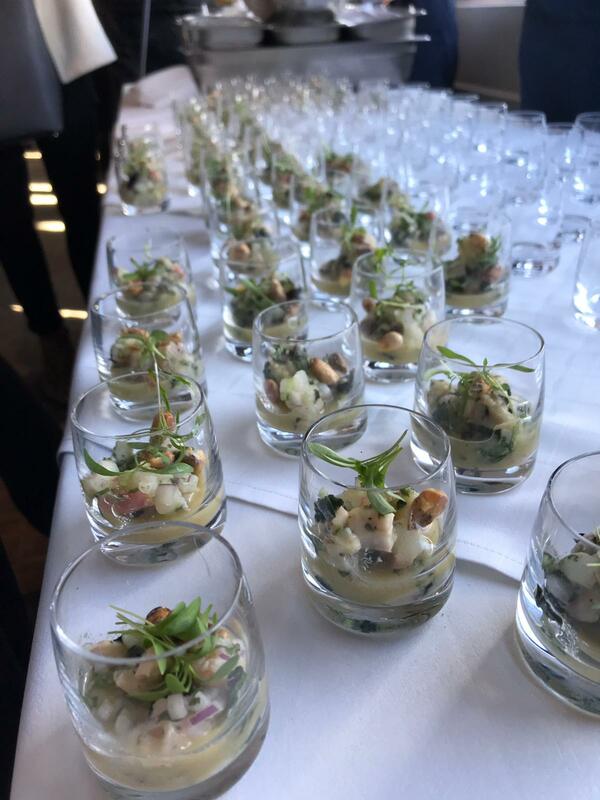 – Sample and learn tips and tricks on preparing the freshest and tastiest ceviche from two of BC’s top seafood chefs on June 15, 2019. With a Kids Interactive Zone designed to show kids how to eat seafood and why it’s good for you, a Gala Dinner, as well as daily events featuring over 20 local and national chefs, the BC Seafood Festival has something for everyone who love seafood! For a list of all the chefs participating, as well as events and how to purchase tickets, visit bcseafoodfestival.com.